Today I got to launch a REENVISIONED classroom project with 40 high school students in Santa Cruz, CA. When I asked the students, "How many adults have asked you for your thoughts or experience on schooling?" - all of them nearly shouted, "none! no one has!". How is it possible that some of our greatest experts on schooling - students who actually experience it daily - are so rarely asked for their ideas? 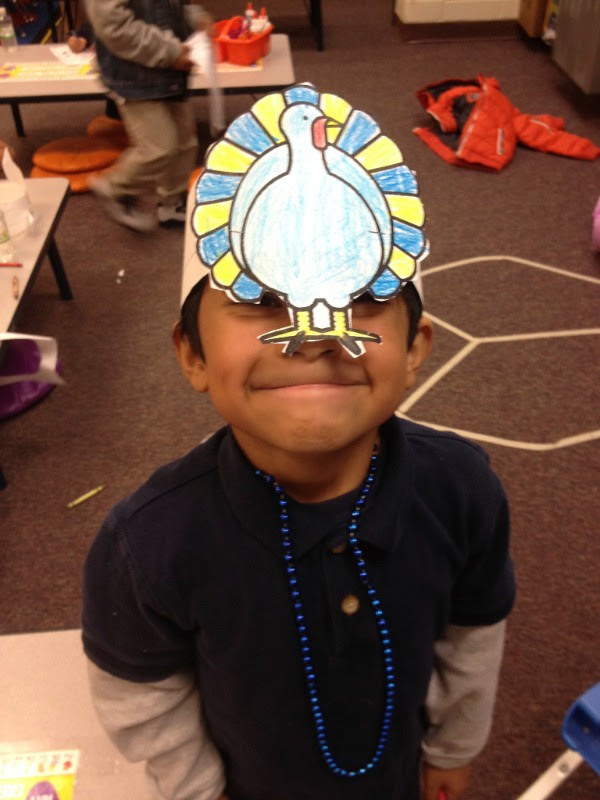 Through our classroom visioning project, students both interview others about, and reflect on their own, greatest hopes and dreams for their lives, and then consider the role school might have in helping achieve them. 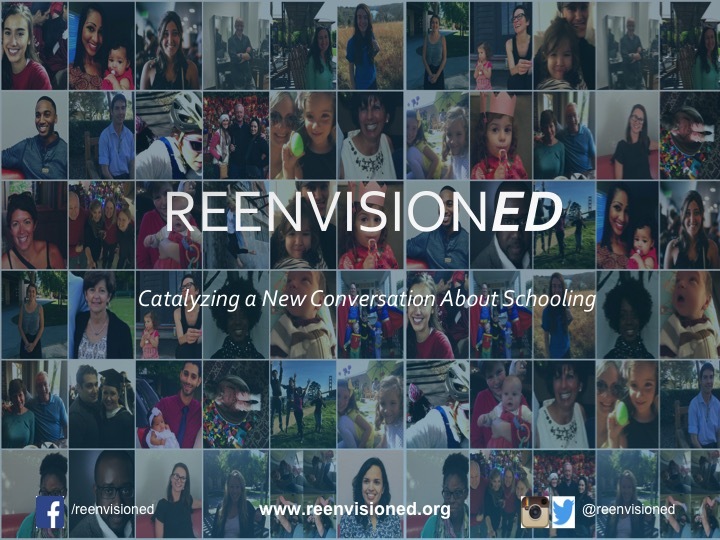 Send us a note at hello@reenvisioned.org if you want your students to feel heard and have their stories shared too. In other wonderful news, on May 21 Dr. David Labaree will be joining our online book club to discuss his acclaimed book, Someone Has to Fail. It's sure to be a thought-provoking discussion - and it's not too late to join! Finally, check out our thought piece and blog this month - both focused on the necessary shift from the idea of "making students" to "creating fostering environments" - a.k.a. moving from a manufacturing to a gardening metaphor. Please share them if they resonate! PLEASE STOP TRYING TO MANUFACTURE STUDENTS! "An acorn dropped on concrete is not at fault for failing to grow into a mature oak tree - its potential was there, but the environment did not allow it to express its potential. Yet we blame teachers and students for their outcomes and growth, without assessing the environment they are in, every.single.day." Grit. Curiosity. Zest. Gratitude. If you walk into any school these days, you’ll likely see banners across the halls or in classrooms listing these traits or others, often referred to as social-emotional or “soft” skills. Although these skills are so important for our children to thrive and relate to one another, I argue that the methods by which many schools are attempting to build these skills in students are largely ineffective. In school, we often try to engineer these qualities into children, rather than fostering environments where they can be practiced and applied authentically. "I think formal schooling plays a vital role but it’s one of many factors of a good overall education. Students in school is like a chef at a grocery store. Teachers provide the educational tools and some recipes. Some students follow the recipe, and that’s okay. Some students are more creative to take the raw ingredients to deviate from the recipes to create something wonderful and new." On May 21, we will be joined by education historian and sociologist and Stanford professor, Dr. David Labaree, to discuss his acclaimed bookSomeone Has to Fail. We have made major updates to our REENVISIONED Project for Classrooms. The project now includes restructured modules, detailed instructions for students and teachers, and supporting powerpoint presentations for modules. We are looking for some additional pilot schools before the end of the school year - this could be a great way to close your year with your students, or to start next year! Help us bring this new conversation about what really matters to new schools!